Did you know that mall bakery franchise Baker’s Delight has all kinds of vegan options? This was recent news to me. 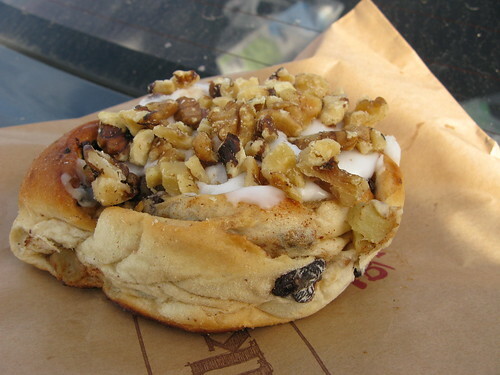 Products that are vegan-suitable are labelled on their website (for example, the delicious Apple and Walnut Scroll pictured above). In store, you can also ask to see an ingredients list for anything on display, and staff will print it out for you on receipt paper. Baker’s Delight is in lots of places in Auckland, and around New Zealand.